Our guide will walk you through the ins and outs of Office 365, and help you decide if it's worth it to make the switch. Office 365's wealth of features and free nonprofit licenses make it a very popular platform for these organizations. But is it right for you? Does your nonprofit have old software weighing you down? Does your team often collaborate on projects or work remotely? Is having cloud storage for your files important to you? 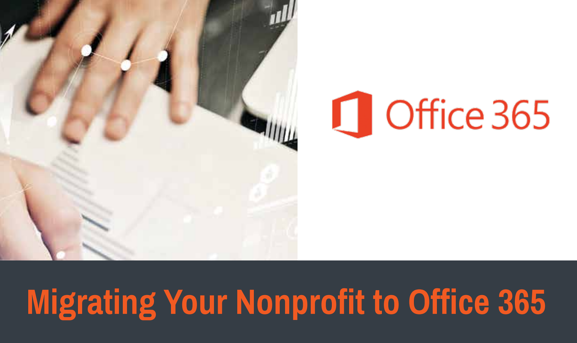 These are just a few of the key questions you must ask yourself when considering moving your nonprofit to Office 365. The productivity gains and flexibility provided by the platform - not to mention the costs savings - can be a huge help to organizations who have fallen a bit behind with their technology, but who don't want to have to overhaul their entire system. We will always keep your personal information safe. We request your information in exchange for a valuable resource in order to better understand what information is useful for our audiences and to send information that we think may be of interest to you. You are free to unsubscribe at any time.